Okay, I’m not bothered by this, and when I grade them, I will always give students explanations as to where they might have done things differently, and/or things they might have overlooked. Note: I also tell students at the beginning of our class that they’d rather great a mark they didn’t like from me, and then be fully prepared for life in a newsroom, then sail through our course, only to fail miserably as an intern. Also to note: Does anyone ever complain that the marking was too easy? ‘One of the best profs I’ve had at this school (sorry, had to include that)… Thanks for all your feedback. So professoinal… It was helpful that you are a current journalist. I got thinking to my own profs, and the ones I enjoyed learning from the most. There’s a lot to be said for a practicing journalist, who can provide insight into how things are done in the ‘real world’ of a newsroom. At the same time, while I was hoping to learn the skills of the field when I entered Carleton’s journalism program, I also knew I was taking a Master’s degree… and was going to be expected to think about why journalists cover the news the way we do. 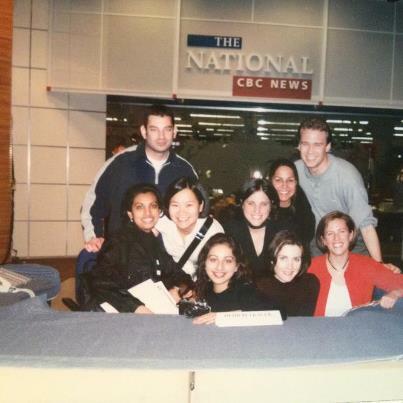 I wanted to get a job (hey, the coveted anchor desk at the National would have been fine), but I also wanted to learn. Of course, there’s one thing these academics and ‘recent journalist-turned-professors’ had in common: they loved the craft, and loved to teach the craft. This university has given me direction, inspiration and something to work for. It’s a beautiful place filled with energetic people who contribute to a thriving community…. But until this semester, I didn’t fully understand how important an enthusiastic professor is to my education. What I’m also trying to do is imagine scaling journalism education so that much, or most, of it could be taught to some — no, to many more — people online, including not just undergrad and graduate students but also professionals who obviously need to learn new skills as their industry convulses around them. I want to have the means to bring training in journalism, media skills, and business to the entrepreneurs and hyperlocal, hyperinterest journalists — and technologists — I continue to hope will populate a growing news ecosystem. I hope that helping people make stuff and make it better in public will encourage more of them to share more in public. I want to expand journalism’s role and possibilities. There’s a delicate balance between professional and academic in journalism schools – students are expected to be intellectual enough to think about the motives of sources, the bigger picture… but they also need to hit the ground running. Recently, a journalism professor asked me about the importance of a degree when it comes to hiring interns. “It’s extremely important,” I said, “Then I know they’ve got the skills to hit the ground running.” He was surprised to hear that I wasn’t looking for ‘a big thinker that he has been cultivating over the years’. very interesting post. i am currently interning at a national newspaper and have found myself putting into action the things i have learned from my two years of j-school. also for assignments: useful suggestion/comments/criticism > grades.